R2i Millwork Wainscot Kit - Prefinished Ready to Install - Fauxwood White - 4 Pieces of 1/4 In. x 4 In. x 96 In. Imagine transforming your room without painting! You can easily add traditional elegance to any room. 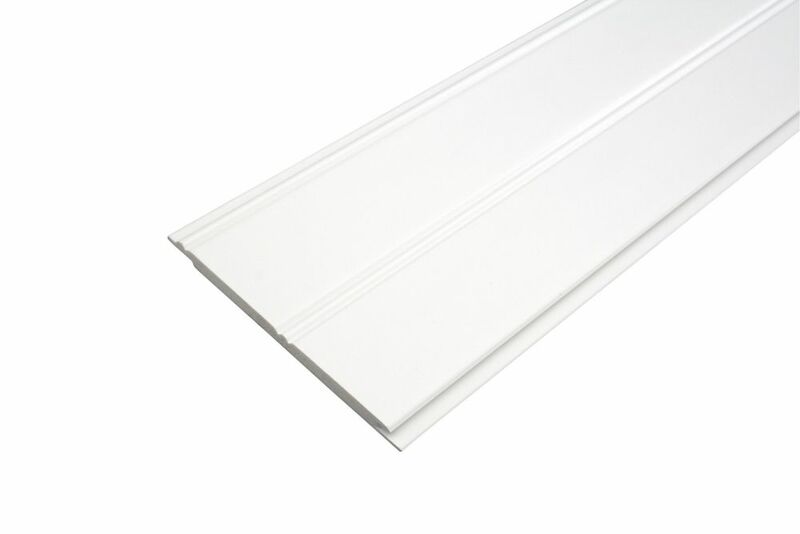 Remodel in hours and instantly enjoy with our pre-finished and durable wainscot. Get creative and install vertically, horizontally or diagonally. Will adapt to uneven wall surface. This easy to Install system requires No Painting! Globe Electric's 4 pack 4In LED IC Rated Swivel Spotlight Recessed Lighting Kit with round trim and white finish is the perfect way to brighten up the interior of your home or commerce with style. Featuring patented PUSH-N-CLICK clips which are fully adjustable and extra wide to grip uneven surfaces and provide easy tool-free installation. A swivel light bulb gives you the ability to focus light on specific areas and can be directed for any desired look. An integrated cut-off switch ensures that the fixture will not overheat and can be used with or without an insulation box. Includes four 50W equivalent MR16 GU10 light bulbs. Dimmable with compatible bulb and dimmer switch. Globe Electric's 4 inch recessed lighting kit is the perfect way to brighten up the interior of your home or business with style. Turn your recessed lighting eco friendly Green using LED bulbs. Featuring patented PUSH-N-CLICK clips which are fully adjustable and extra wide to grip uneven surfaces and provides for easy tool-free installation. Swivel gimbal gives you the ability to focus light on specific areas and can be directed for any desired look. An integrated cut-off switch ensures that the fixture will not overheat and can be used with or without an insulation box. This recessed lighting kit requires twenty 50W equivalent MR16 GU10 light bulbs (sold separately). Wainscot Kit - Prefinished Ready to Install - Fauxwood White - 4 Pieces of 1/4 In. x 4 In. x 96 In. Imagine transforming your room without painting! You can easily add traditional elegance to any room. Remodel in hours and instantly enjoy with our pre-finished and durable wainscot. Get creative and install vertically, horizontally or diagonally. Will adapt to uneven wall surface. This easy to Install system requires No Painting! Wainscot Kit - Prefinished Ready to Install - Fauxwood White - 4 Pieces of 1/4 In. x 4 In. x 96 In. is rated 4.1 out of 5 by 7. Rated 5 out of 5 by David from Great features I bought this 3 months ago. So happy for me with it for decorating my rooms! Rated 5 out of 5 by anne from very nice panelling. Very happy with this product. Easy to install with liquid nails for tub surround.Really brightens up my bathroom. Rated 3 out of 5 by Hope Handyman Services from Can't creep up on your cuts with this stuff. Although the product looks great installed and is reasonably easy to handle it can not be installed with a brad or pin nailer the way you would any other wood tongue and groove product. The groove side shatters or cracks so you have to nail in the face of the product or get away with a no-nails product. This would not do in the bathroom application this was used for as the moisture in the air would cause you grief down the road. It is ideal for a bathroom as it would be easier to clean and less susceptible to mold. As a result nailing the face meant a lot of caulking afterwards. Rated 5 out of 5 by carlot01 from looks great I used it for backsplash, very easy to install and looks great. Rated 5 out of 5 by S H I from Nice product Good quality. Easy to install. Finished project looks great. Worth the cost. Rated 1 out of 5 by Bingorn from Good Product Bad Service Good product easy to install. Trouble with delivery and not a good way of tracking. what kind of adhesive do you use? will &quot;no more nails&quot; work? No More Nails will work for the Plastibec R2i millwork. Pre-finished in white. Can it be painted?